Fleet managers opting for new replacement truck tires instead of retreads for their medium-duty trucks must tailor the tire to not only the specific gross vehicle weight, but also to the application and specific conditions in which the vehicle will operate. 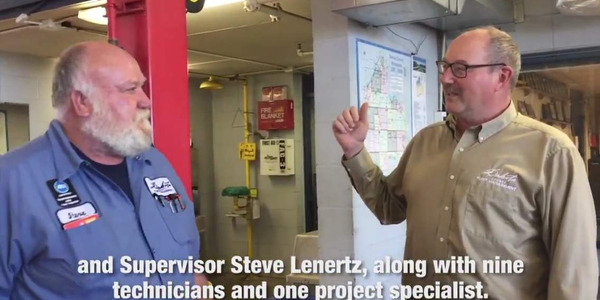 Knowing the truck's specific setup and usage pattern will save time and headache when spec'ing replacement tires, said Rich Zambroski, manager of truck excellence at Element Fleet Management. 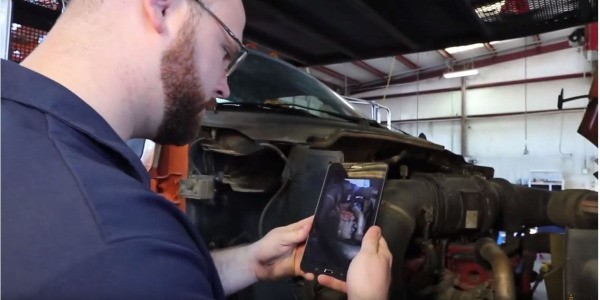 "For fleet managers, the most critical part of finding a replacement tire is identifying what you are planning to accomplish with the truck," Zambroski said. "Manufacturers place tires on vehicles that will cover most normal applications. Depending on the task, other tires may need to be specified. The normal applications may not be appropriate for a truck if it will be used for off road, severe-duty or mixed-use applications." 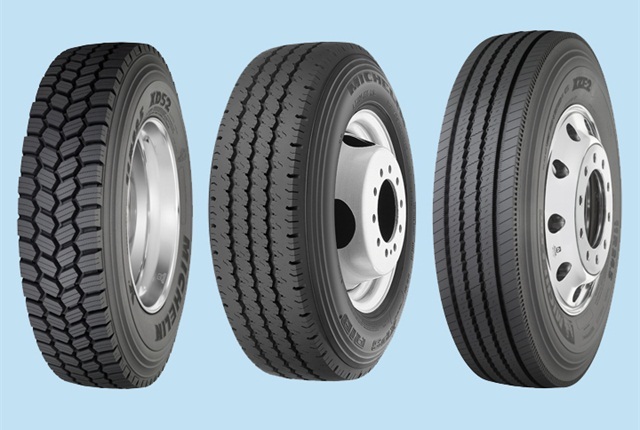 Replacement new-tire manufacturers offer tire choices spanning several GVWR classes to allow the fleet manager and truck dealer to choose the right size within that model to accommodate the truck's load after upfitting. A Class 5 through Class 7 chassis, for example, could be modified into various vocational uses as a dump truck, tow truck or other set-up with specifications provided by the fleet manager. As a result, new tires for medium-duty trucks don't always match up to GVWRs. "The GVWR does not translate directly to an application, nor do tire dimensions and sizes correlate to a specific class," said Paul Crehan, director of product marketing for Michelin Truck Tires. "Rather, a specific tire can actually span several vehicle classes." That being said, here's an overview of new-tire offerings and a tire chart showing offerings from leading tire manufacturers. We'll cover tires offered for these trucks in Class 4 through Class 7, including tires for cabovers that now mostly fall into Class 5. Truck tire selection in Class 5 through Class 7 is key to ensuring your truck can accomplish the job at hand. A Class 5 truck typically carries a GVWR range from 16,001 to 19,500 pounds. This Class would cover single-unit trucks with two axles and six tires, including trucks with dual rear wheels. Some examples of these trucks would include city delivery trucks, large walk-ins, bucket trucks, and vehicles similar to a Ford F-550. The Class 6 GVWR ranges from 19,501 to 26,000 pounds and includes single-unit trucks with two axles including beverage trucks and regional delivery trucks. Vehicles in Class 7 span a GVWR of 26,001 to 33,000 and include single-unit trucks with two or three axles at that weight range. 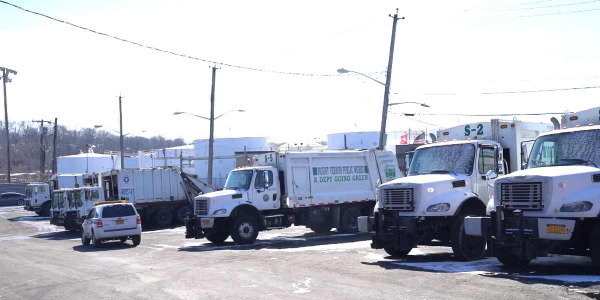 These trucks on a single frame would include refuse and furniture delivery trucks. Medium-duty tire manufacturers classify new replacement truck by use or application, such as urban, regional, transit, military, coach, or line haul. The vehicle manufacturer's dealer selects a tire type and dimension based on the GVWR of the modified vehicle. Tire manufacturers want fleets to work closely with dealers when selecting tires. "We recommend that truck fleets and owners always consult with their local Goodyear commercial tire dealer, who can evaluate their trucks' individual needs and make the most appropriate tire recommendations," said Mike Manges, Goodyear's manager of commercial/off-highway tire communications. The tire size equates with the vehicle load that's determined by the number of axles, distribution of weight, and expected weight. 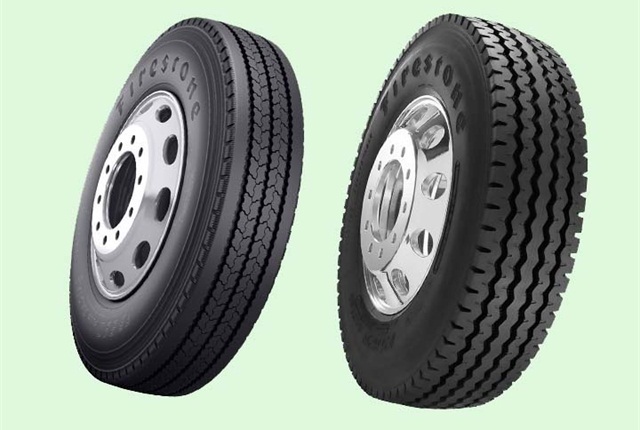 The tire selected for the truck is picked based on operating conditions such as off-road or urban road use. 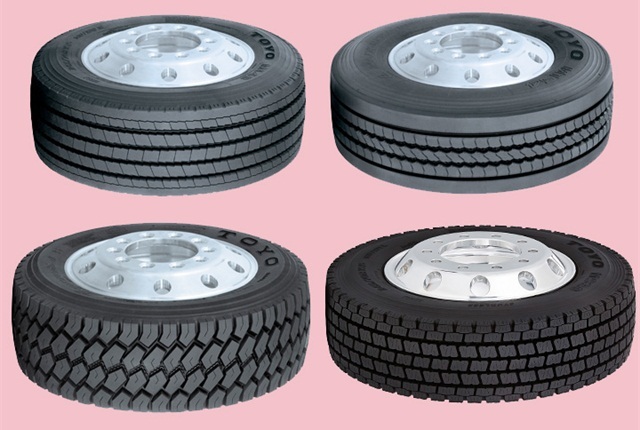 Tires for heavier medium-duty trucks are often sold as either steer or drive tires, while cabovers and lighter trucks would be fitted with all-position tires. These tires would usually be replaced at between 25,000 to 50,000 miles. 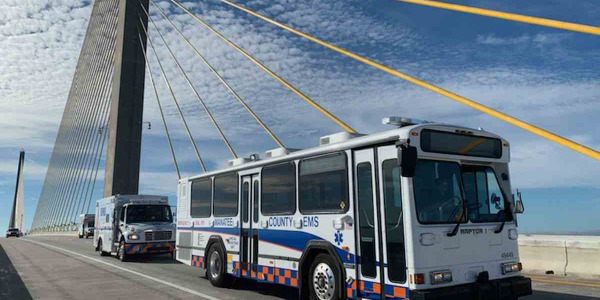 A busy city fleet truck can see 40,000 miles annually, and may need new tires each year. 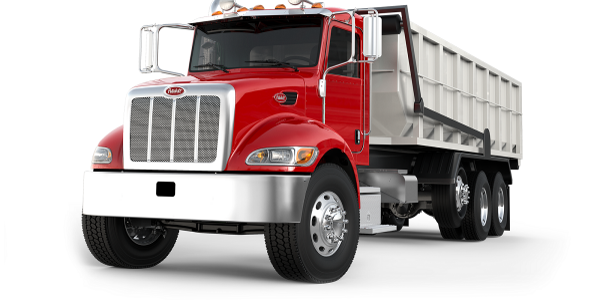 Most medium-duty trucks use a tire fitted to a 17.5-inch or 19.5-inch wheel. A larger city delivery truck or beverage hauler may increase the size to 22.5 inches. 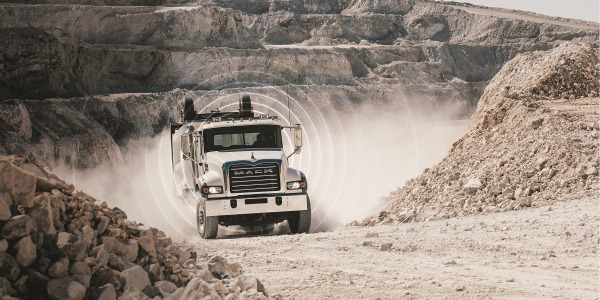 Most heavy-duty trucks have migrated to a 22.5-inch size for improved fuel economy. Medium-duty tires would operate between 80 psi on the low end and 125 psi on the higher end of the range depending on load and usage pattern. As with all fleet tires, pressure maintenance can extend the life of replacement tires or retreads. 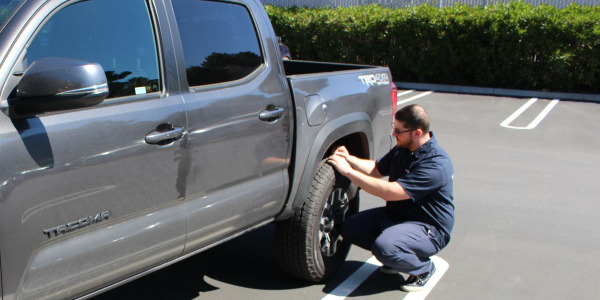 Larger delivery fleets have been known to opt for a retread (also known as a "recap" or "remold") to capture cost savings over a replacement tire, according to Ben Rosenblum, director of Bandag marketing and commercial marketing with Bridgestone Americas Tire Operations. 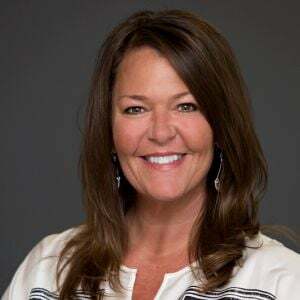 "For fleets that manage their own casing assets, the value of retreading remains unmatched with savings that often approaches 50-60% versus the cost of a new tire," said Rosenblum. 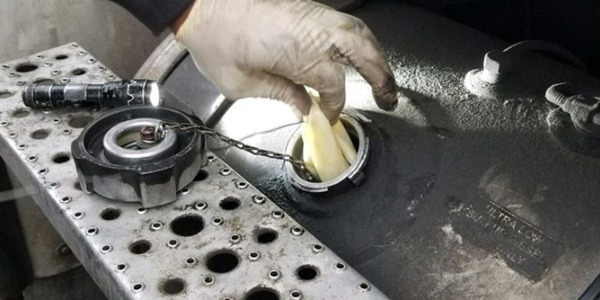 "When matching Bandag retreads with quality casings, these fleets save millions by maximizing the life of their casing assets for an overall lower cost of ownership." 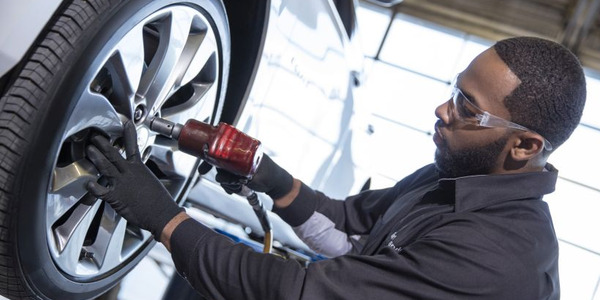 Replacement tire demand has surged in recent years with new tires outselling retreads since 2010, according to Modern Tire Dealer. 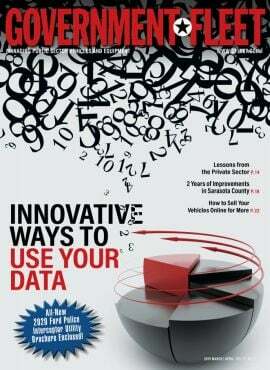 Retreads last outsold new tires in 2009. There were 17.3 million new heavy- and medium-duty truck tires shipped in 2014 and 15.7 million retreads produced. The average price of a new tire was $381.50, while the average price of a retread was $237.48. 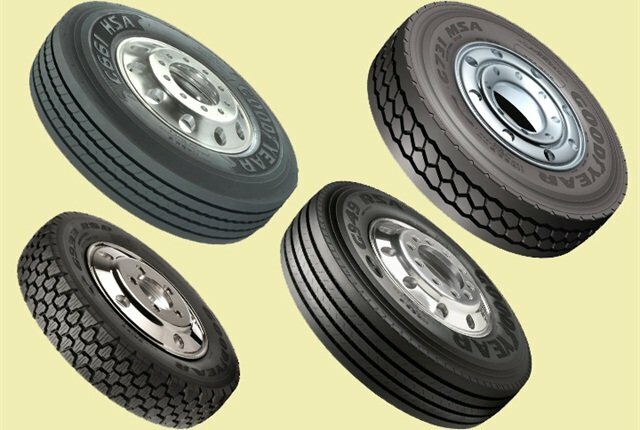 Smaller fleets typically shy away from retreads, mostly due to the ease of buying a tire from a truck dealer. 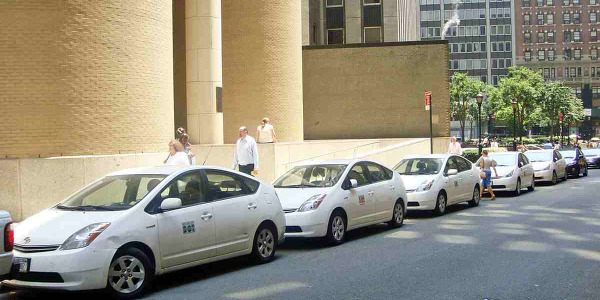 "Smaller fleets are often more dependent on 'cap/casings' (the use of a casing from another fleet)," Rosenblum added. "Elevated casing prices have caused some small fleets to move away from the retread market, but we're seeing this trend reverse in 2015 as casing prices normalize." Purchasing medium-duty tires requires a fleet manager to understand tire codes, which are similar to light-duty vehicles, yet offer a few twists. The first important set of numbers and letters can be divided into four sections, including the tread width, aspect ratio, type, and wheel size. Translating a code such as "225/70R19.5" would mean the tire has a tread that's 225 millimeters wide, a 70 percent ratio of sidewall to total width, classified as "R" for radial, and 19.5-inch wheel. Truck tire codes also offer information about the load range (ply rating), loading capacity in pounds, maximum inflation, and maximum speed. The load range is listed as a letter from A to N, skipping I and K. The ply rating increases in increments of two starting at an A tire with a 2 ply rating. Loading capacity and maximum inflation are usually expressed together for single- and dual-tire use, such as 3,640 pounds at 95 psi. Higher load ranges increase loading capacity, because the tire adds thickness. Lastly, medium-duty tires are given a speed rating expressed by a letter that typically falls in the range of F, G, J, K, L, M, or N. These correspond to maximum speeds recommended such as 50 mph, 56 mph, 62 mph, 68 mph, 75 mph, 81 mph, and 87 mph.